If Santa brings you a Hoverboard this year, let’s hope he brings you a warning letter with it! Self-balancing scooters such as ‘hoverboards’ and monocycles expected to be among the most popular presents this Christmas but there’s lots in the press around the increasing concerns over their safety. Here’s what we think you should know about them! 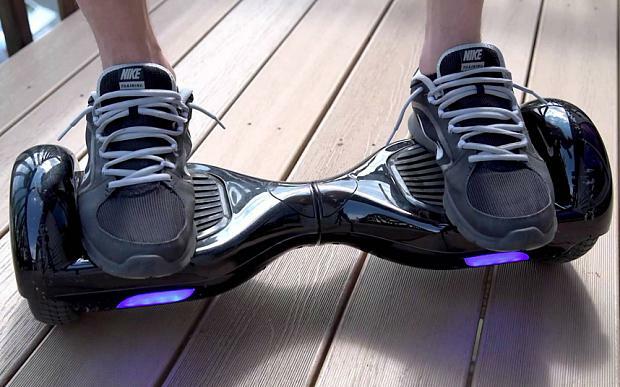 There’s been much in the press about Hoverboards reportedly setting on fire. As well as reports of people injured when they fall off, some have reportedly exploded while others have caught fire while charging. Some retailers have now pulled the products from sale while further checks are made, while thousands have been seized for failing safety tests. 1. I’ve already bought one – what are my rights? According to the UK’s chief ombudsman Dean Dunham, customers should contact the store or online shop they bought it from to ask for written assurance that the item is safe and complies with safety rules (see below). If they are not able to provide that reassurance, people are entitled to demand a full refund under the Consumer Rights Act. They should also contact the Citizens Advice consumer service to report the retailer in question. Many retailers including Amazon and Argos have already confirmed they will offer a full refund to anyone who is concerned about their product. 2. I haven’t bought one yet, but I was going to – what should I do? If you haven’t bought one yet, you may actually find it tough to get hold of one. A number of retailers have already pulled the items from the shelves while extra safety tests are carried out. 3. What should I check for? It is illegal to use self-balancing scooters such as ‘hoverboards’ and monocycles in public, including in parks, on roads and on footpaths. Bicycles are covered by different rules to those applying to self balancing scooters. Electrically Assisted Pedal Cycles must meet the requirements of the Electrically Assisted Pedal Cycles Regulations 1983. Electrically Assisted Pedal Cycles that conform to these regulations are considered to be pedal cycles and as such are allowed to use cycle facilities such as cycle lanes on the road and cycle tracks away from the road which other powered vehicles are prohibited from using. A self-balancing scooter does not meet these requirements as it cannot be pedalled. So, if you do receive one of these on Christmas morning, please take care and be aware do’s & don’t!